HÀ NỘI — Việt Nam had been recognised by the international community for its biodiversity and rich ecosystems, said Trần Thế Liên, head of the Special Protected Forest Department. He was speaking at a seminar to discuss the future of the sao la, one of the rarest mammals on the planet, in Hà Nội on Thursday organised by the Việt Nam Administration of Forestry and the International Union for Conservation of Nature (IUCN). 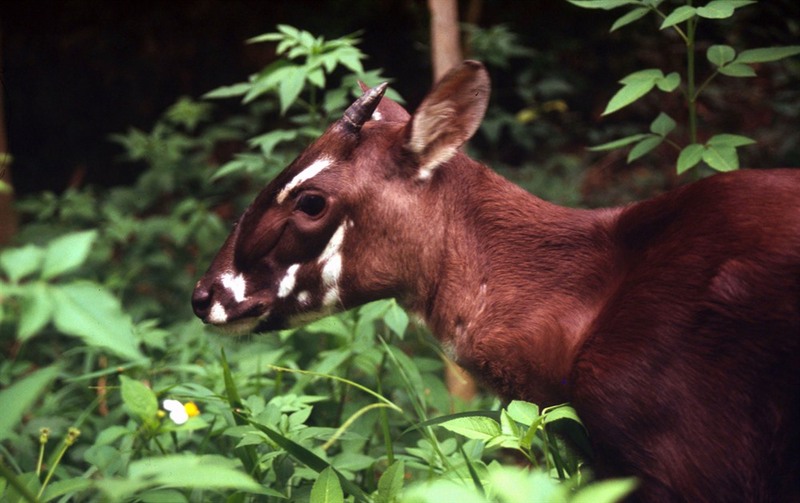 The sao la (scientific name Pseudoryx nghetinhensis) is a forest-dwelling bovine found only in the Trường Sơn Mountain range of Việt Nam and Laos. The first animal was discovered in 1992 in Vũ Quang National Park in Hà Tĩnh Province. The species is facing extinction and needed special protection. Speaking at the seminar, Liên said that in recent years, despite conservation efforts the animals were at high risk of extinction. “Many animals such as wild buffalo, eld deers, Sumatran rhinos and Edwards pheasants have become extinct in Việt Nam,” Liên told participants. “Without emergency protection, many other species such as Asian elephants, Javan rhinos and the newly-discovered sao la are at risk of extinction,” he said. William Robichaux, the IUCN’s representative, said that the conservation of the sao la was not a job for one individual and needed co-operation between agencies. Currently, there are conservation areas in Quảng Bình, Quảng Trị, Thừa Thiên-Huế and Quảng Nam provinces. According to the Ministry of Agriculture and Rural Development, the diversity of animals in Việt Nam was very rich, with 175 mammal species, 826 bird species, 180 reptile species, 80 amphibian species, 471 freshwater fish species, over 2,000 marine fish species, 7,000 insect species in addition to tens of thousands of invertebrates.